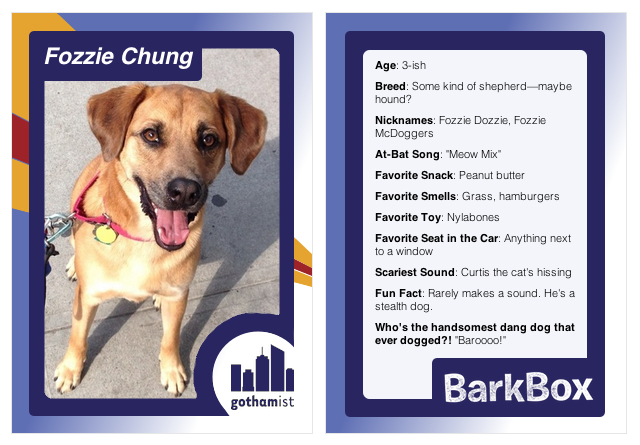 This post is a sponsored collaboration between BarkBox and Gothamist staff. We've been enjoying a lot of subscription services here at Gothamist lately, and it's been a hard time for our dog counterparts. Every day it's the same old bone, same old kibble, same old floaty toy, and not one thing to look forward to after a grueling day of loafing in the sunshine. What's a dog to do? Without a wallet and opposable thumbs... well, not much at all, actually. Luckily, the magical deliveryman in brown brought some BarkBoxes the other day! Scroll down to check out the loot and of course, meet our illustrious team. Want to treat your own pup to the magic of a monthly BarkBox? 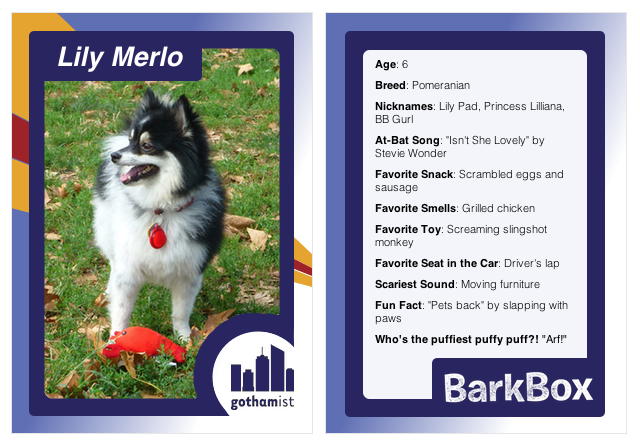 Visit BarkBox.com/gothamist and fetch 20% off any new subscription! 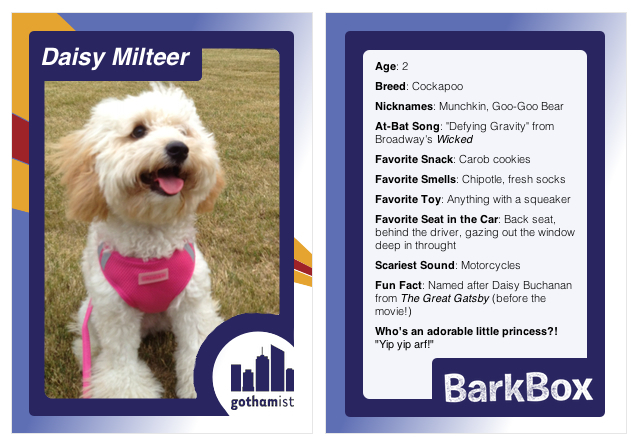 To celebrate, each pup got their very own trading card to show how much we love having them on our team. Was it a struggle not to Photoshop tiny ball caps on each one? Yes, yes it was.